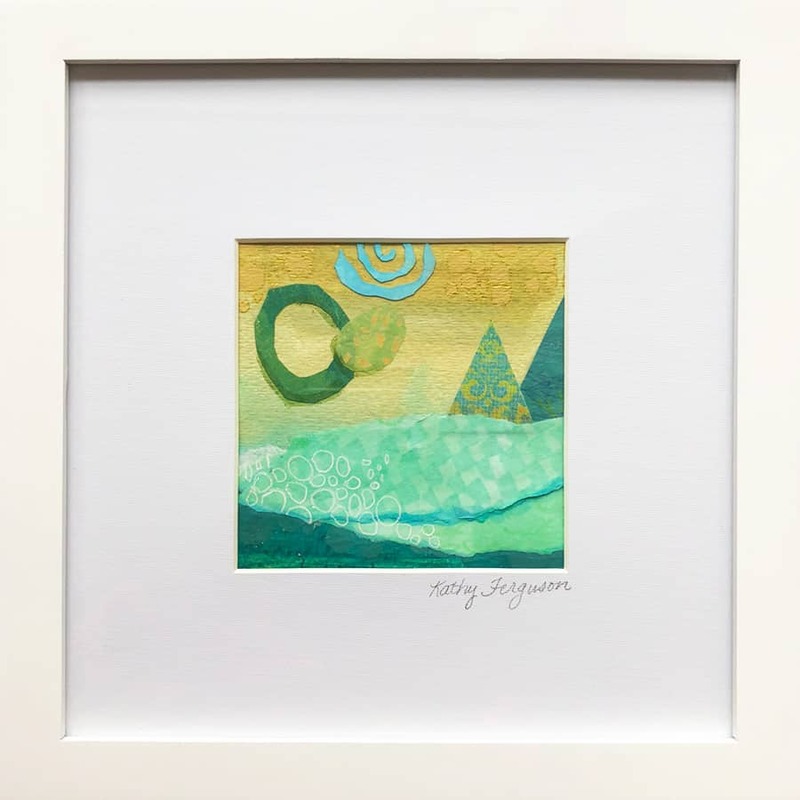 Little Gems (100 series) are small, framed mixed media paintings. I finish my day by cleaning up the unused paint and paper scraps from the day’s studio practice. I often pause to use these leftovers to create mini paintings. I sketch up a small composition, then using only the leftover supplies, I see where my imagination takes me.